SK Olympics – On the Beach – Melbourne, Australia – Screenkicker! With the Screenkicker Olympics in full swing it’s my pleasure to introduce the first of the amazing guest posts. Anna from Film Grimoire is representing her home city of Melbourne, Australia with this excellent review of depressing nuclear war classic On the Beach. Check out Anna’s site for more brilliant reviews and other features. Enjoy! Hi everyone, let me depress you with a story set in post-World War 3 1964. The location: Melbourne, Australia, the only place in the entire world that’s safe from a radioactive dust cloud that is slowly killing everyone on the planet, for the time being. 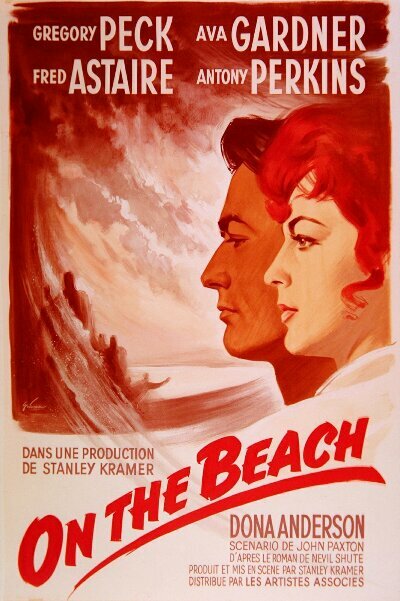 This is the story of an excellent film called On The Beach (1959), directed by Stanley Kramer, and based on a book by Nevil Shute. It stars Gregory Peck, Ava Gardner, Anthony Perkins and Fred Astaire (no, he doesn’t dance). All of these characters must come to terms with the realities of their survival on earth in the face of such a massive nuclear catastrophe. Melbourne also happens to be my home town. I’ve lived here for my whole life and I can say for sure that it’s a wonderful place to live. There are lots of nice things to do, good employment opportunities, and a relatively stable economy. The punctuality of public transport tends to be a bit hit or miss though. Anyway, back to the film. 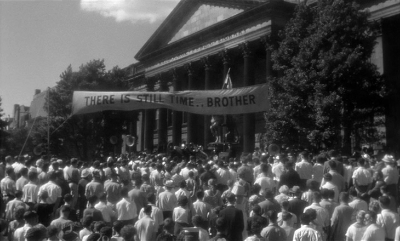 It’s shot in black and white, and the direction has some very interesting camera angles and focusing that can lend a sense of panic to certain scenes. The direction in this film is quite impressive. Additionally, the music has a huge sense of nostalgia as it uses the song Waltzing Matilda as the main ‘motif’ of the score. Filmmaking-wise, this is a great example of black and white done right. There are some great uses of light that give an extra dimension to certain scenes. The post-apocalyptic theme is subtle from the beginning of the film, but builds up as the audience is fed more and more information about the radioactive dust cloud, what happened during World War 3, coffee and petrol shortages, and the constant attempt to see whether there is any survival beyond Melbourne. The film tends to skirt around the actual issue of the nuclear apocalypse until a sufficient amount of suspense has been built. In this way, its handling of information is quite clever. The story development is also very steady and builds each character into people that we really care about, which makes the eventual bittersweet ending even more painful. The film is also heavy on existential themes, particularly the constant threat of death that the characters are facing. As the characters, and the general population of Melbourne, confront their finite lifespan and inevitable death, the film becomes a study of how people react to this threat, and how people choose to live out their final days. However, there are also some lighter comic relief moments that mostly arise at the expense of your typical ‘Aussie larrikin’-type characters. Downsides: the Australian accents are not very convincing. Anthony Perkins does a fairly good accent, but Ava Gardner’s is awful. No other downsides. This is just a great film. I’d definitely recommend watching On The Beach. It is a bit of a slow-burner but I was driven by wanting to know more about what happened during World War 3, and why the world was in such peril. It can get very bleak, particularly as it does address the inevitability of death. But overall it’s an excellent film and I’d definitely recommend giving it a watch, especially if you’re in the mood for an interesting drama that will force you to confront these deeply existential themes. Finally, now that I’ve recommended On The Beach, let me introduce you to my home city of Melbourne through some moments from the film. 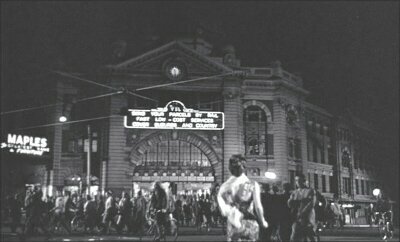 This is Flinders Street station. I caught a train home from work at this station today! It doesn’t have that big light-up sign anymore but it’s just as busy around peak hour. This is a view from Elizabeth Street facing down to Flinders Street station. The place where I work is about two blocks to the right of this spot! It looks similar now, but much more built up. Here’s the State Library. A very beautiful old building. The inside is ten times more beautiful than the outside. This is kind of what it looks like when university exams are on. 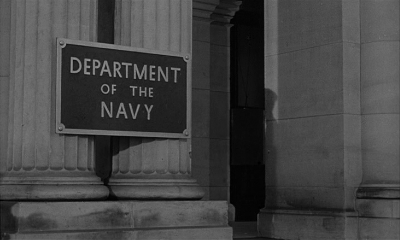 The Department of the Navy in On The Beach is actually the GPO building on Bourke St in the city. It’s now a high-end shopping centre of sorts, which retains its original façade and interior, with some modern elements for the shops. 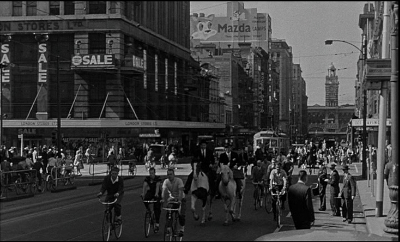 I hope you enjoyed my small tour of Melbourne via Stanley Kramer’s On The Beach! Here’s hoping Melbourne wins gold at the Screenkicker Olympics this year. Thanks again Anna, you’re OK for someone from a post apocalyptic wasteland. If any of you guys have been inspired and would still like to enter then contact me at michaelboyd185@gmail.com and let me know. Also remember you can still vote in the Ultimate Actor tournament USA qualifiers here. Get your votes in ya flamin’ gallas! What an excellent post! 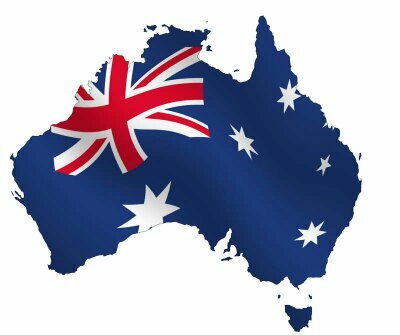 I want to go to Australia….! Thanks matey! You have to visit one day! finally saw the movie and I can’t say I liked this nearly as much as you, but it was a very grim and gripping tale of the end of the world. Thanks for the recommendation Anna! I’ve always wanted to go to Australia. It’s going to sound strange but there’s great rock climbing down there. There and New Zealand are some of the most scenic places on Earth!! Also, great review. This movie sounds worth a peak sometime for sure. Thanks! 🙂 It’s a great film. I’ve never been rock climbing outdoors so I can’t vouch for that, but there certainly is some of the most beautiful scenery here. Places around the coast are particularly beautiful! A coffee shortage?!? I would not survive. Haha! That’s what I was thinking! I wonder how Ramsey Street would cope in a nuclear apocalypse? I bet Harold would survive, he’s comes back from the dead more times that Jesus. I think if a nuclear apocalypse happened the only survivors would be all the cockroaches and Harold from Neighbours. Great post Anna! I’d love to go to Australia, although perhaps not in a post WW3 apocalyptic wasteland. Thanks! 🙂 I wouldn’t mind being here after WW3, at least then I would be able to get a seat on the train during peak hour. Haha – nice one Mikey! Scott and Charlene are definitely the King and Queen of Melbourne, even after all these years. Ever since Helen Daniels died Ramsay Street hasn’t been the same! Oh my god, that episode was traumatising to watch as a child. Helen was awesome. RIP Helen. Poor accents notwithstanding, this sounds like an interesting flick, as does just about anything with Gregory Peck. I’ll give it a shot someday. Thanks! 🙂 It’s a great film, you should definitely watch it! I always thought the original Mad Max was supposed to be post-apocalyptic, but it was just Australia. I can confirm that Australia is definitely susceptible to post-apocalypse-type issues, even when an apocalypse hasn’t happened. It’s because of all the convicts. Thanks! 🙂 You definitely have to see it! Such a classic. Nice post… world war 3 sounds like the most fun! I wanna go to Australia can you take us all with you!!! I’m way late to the party in replying to your comment, but yep, I’ve sent a plane on the way! Anna I am catching up right now too!! Understandable!